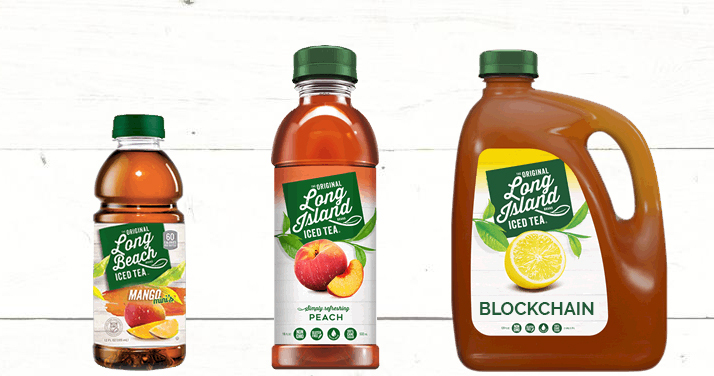 Farmingdale, New York-based beverage company Long Island Iced Tea Corp saw its shares surge in value by 500 percent on Thursday when it announced it was changing its name to Long Blockchain Corp (PDF), reports Financial Times. That’s great, and I’m happy for the folks at LIITC, sorry, LBC. But the facts around this windfall, and the trend among investors getting excited at the very mention of newfangled technology, are worrying. For those out of the loop, blockchain is the term used to describe a decentralized ledger of records that allows for a clear audit trail and greater accountability across an organization’s operations. Setting up a blockchain system, or a service that you intend to offer to clients, requires technical know-how. The concept has been around for a few years and there are already several businesses specializing in it. Meanwhile, Long Island has never been in the blockchain business until now – nor has it completed any development projects or even invested in any entities working on this tech. Oh, and the company has yet to turn a profit. Still think it’s a good bet? It’s not the first time this has happened: back in October, British firm On-line Plc, which invests in internet businesses, saw its stock climb by 394 percent after it announced it was renaming itself to On-line Blockchain Plc. SkyPeople Fruit Juice (packaged food) > Future FinTech Group Inc.
Vapetek Inc. (e-cigarettes) > Nodechain Inc.
Ping Shan Tea Group Limited (tea) > Blockchain Group Co Ltd.
Now please excuse us while we make a name change of our own. See you over at TheNextBlockchain.com soon.